Autumn Gold boulders are produced from a large deposit of fine-grained Phyllite, which is predominately a golden yellow color. Autumn Gold is a nice alternative to other gold colored products available at MDI Rock. 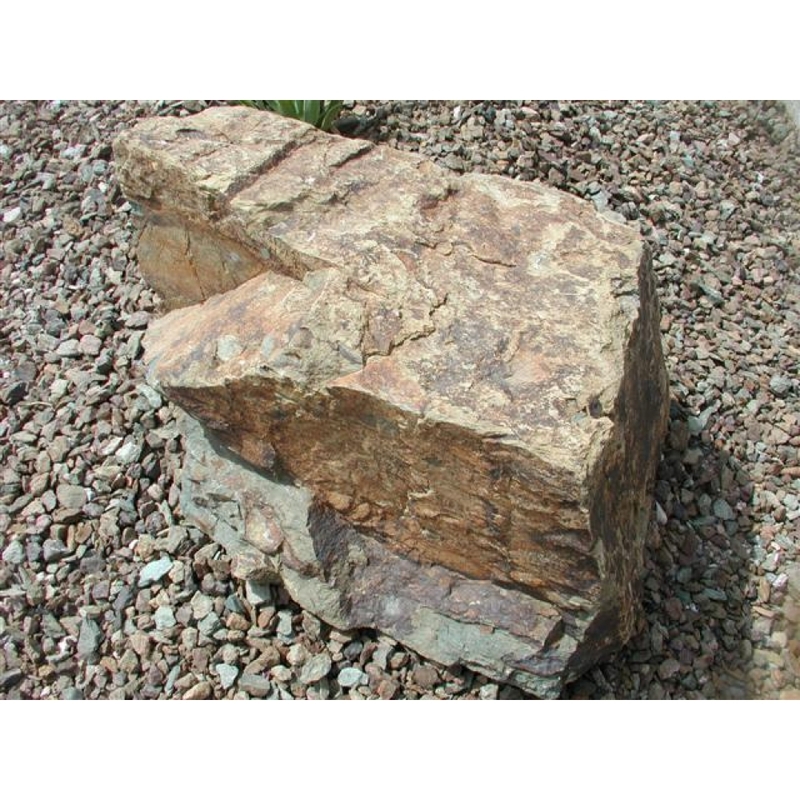 The Autumn Gold rip rap makes an excellent accent rock for arroyos and soil retention areas.